Razer has readied a cornucopia of Quartz Pink gaming gear in time for Valentine's Day. 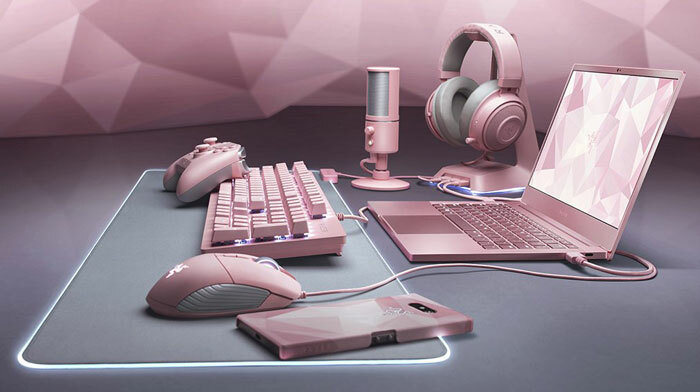 This isn't the first time the firm has gone pink to appeal to those that prefer flamboyant flamingo coloured gaming gear – last year it issued a lineup of four peripherals in this shade. 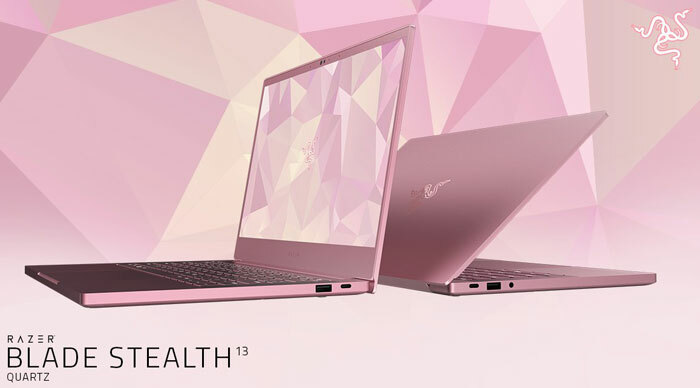 However, in 2019, we are presented with the first Quartz Pink Razer Blade Stealth 13 laptop (USD $1599.99, pictured below), as well as eight gaming accessories like mice, keyboards, and headsets. The main attraction, the Razer Blade Stealth 13 Quartz Pink, will only be available in the U.S., China and Canada for a limited time, in limited quantities. This slim gaming laptop packs in an Intel Core i7-8665U CPU, a 25-watt Nvidia GeForce MX150 graphics card, a 256GB PCIe M.2 SSD, and 16GB of LPPDR3 RAM at 2,133MHz. Quartz Pink peripherals and accessories aren't described as limited editions, so they should be more widely available, and might remain available until product refresh time. If you like pink peripherals, and would like an alternative, Asus launched its ROG PNK range at CES last month. In non-pink news, Razer has announced availability of the Razer Blade 15 Advanced with Nvidia GeForce RTX 2060, and up to a GeForce RTX 2080 with Max-Q design. These laptops were first revealed back at CES 2019. You can read our report on the new Advanced range here, or go to the official product pages and make your order now. The key specs of the Razer Blade 15 Advanced models are highlighted and compared below. Whats the betting Katie Price ( aka Jorden ) has ordered a couple. Oh sorry , she's broke.Yeah , yeah. That's a bit genderly presumptive, innit? Surely they should offer a range of colours, available to order?